The kids were up at 6 ready to find eggs. Good thing I told Mrs. Easter Bunny that the hiding must be done the night before. You can’t beat these kids to the door anymore. 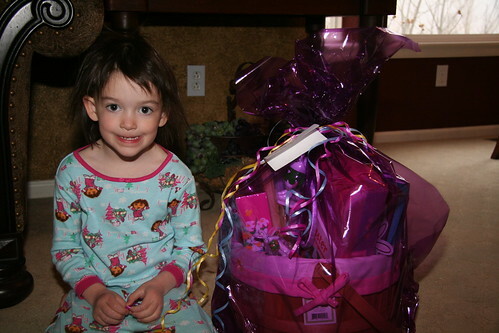 However, they had to locate their Easter baskets that were hidden in the house first. Gotta have something to put the eggs in! 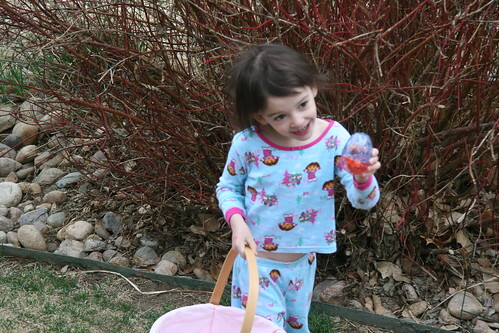 Then it was outside for the egg hunt. Luckily, it wasn’t too cold so they were able to enjoy the hunt. There sure were a lot of eggs! 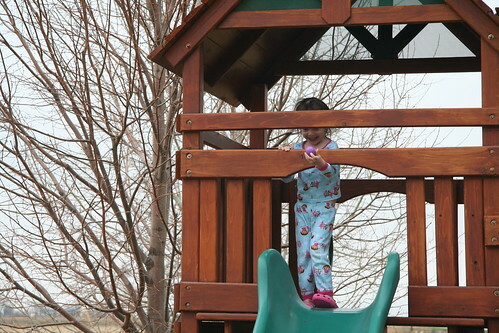 Reagan enjoyed not having the pressure of other kids around her. She isn’t the fastest at this. Easter 2009 from Brandon Fuller on Vimeo. 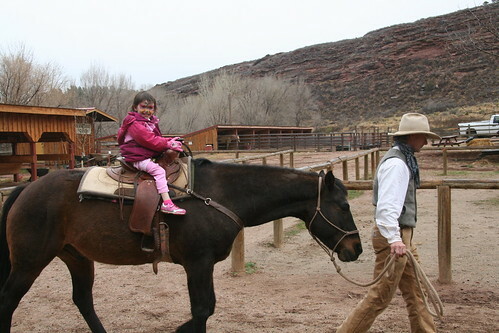 After the eggs were collected, we headed to “the ranch” to enjoy an Easter buffet and other activities. We did this last year and the kids became the poster children for the event so we had to return. 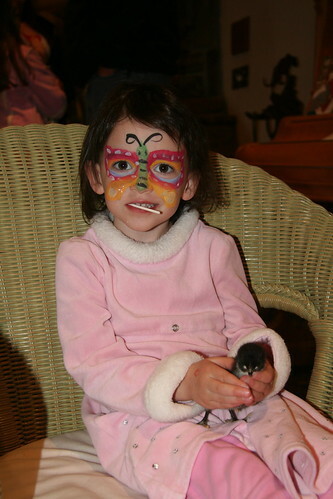 We had to do face painting and then hold any little critters we could. It was raining at this point so the fun level was decreasing. However, we still made our way to the the barn and saddled up for a quick ride. Live action of the horse ride. Horse Ride from Brandon Fuller on Vimeo. I hope you enjoyed our Easter coverage. I am worn out. View all photos from this event.